What comes next after you become a yoga teacher? Using that sense of creativity and awareness to create an eco-friendly collection of items! With Shivam Creations, I hope to re-use and upcycle as many beautiful Indian fabrics and patterns as I can, which would otherwise just go to waste. The inspiration came from my closet, where a bunch of Indian dresses and saris were just boxed up because of little use in the U.S., my adopted home country (I moved here in 2002 to do my MS in journalism). The fabrics have such intricate print and handiwork, and it just doesn't seem right to toss them out. Despite having no background in stitching ( my mom used to complete my school needlework projects!) I bought myself a basic Singer sewing machine and started experimenting. The first few bags were a success at a local craft fair, and everything since then has just been organic growth. I design each and every piece myself, make them, handle all the promotions and marketing, and even built my own website! As business has grown, I have added a few team members to help with increasing efficiency and product offerings. Wife-husband team of Suma and Kumar run a sewing workshop from the garage of their home in Bangalore, India. Shivangi met them on her annual visit to her home country, and knew they were right team to help with expansion plans for burlap yoga bags. They have been making burlap items for 20+ years and understand the aesthetic of the Shivam brand. Apart from sewing themselves, they also use a group of local seamstresses who are trying to support their families. All workers are paid fair wages and and Shivangi personally oversees production on her trips. 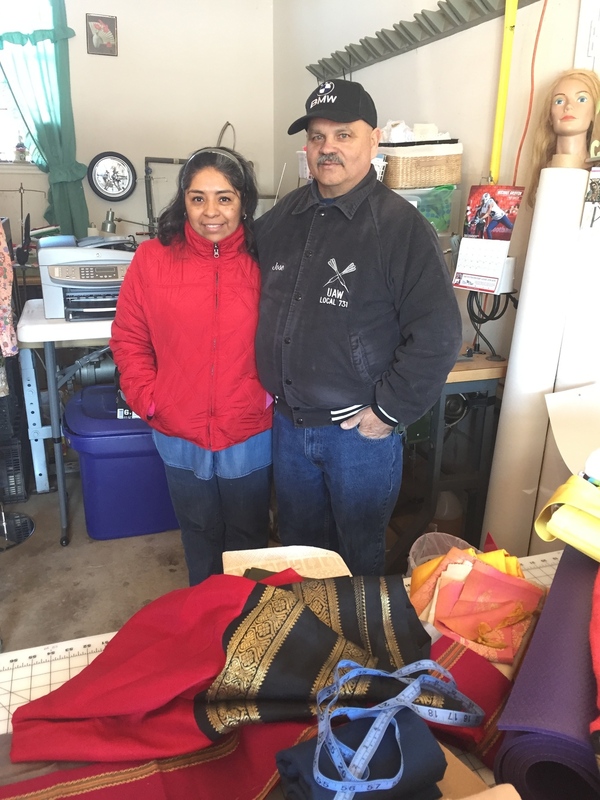 This wife-husband duo is the local sewing team in Nashville, where Shivam Creations is based. 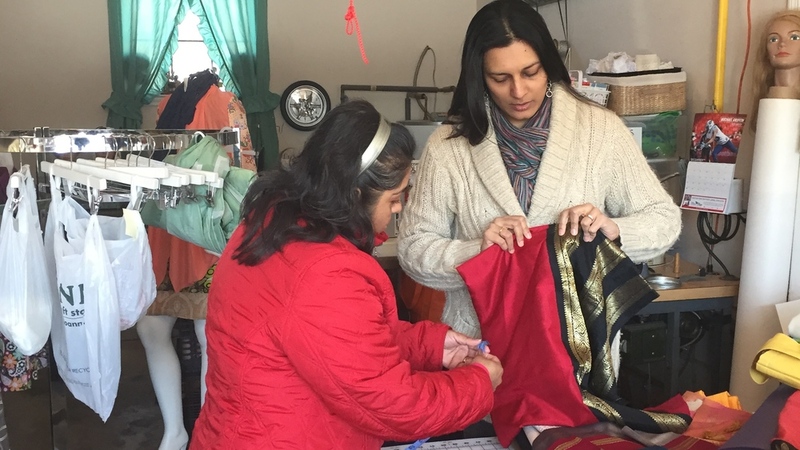 Shivangi met Magdalena through a local non-profit for Latin-American entrepreneurs, which aimed to connect local businesses with vendors. Magdalena worked in an apparel manufacturing company in Downtown for 20+ years, and when the factory shut down, she started doing freelance sewing work. She is a perfectionist and is skilled with our canvas and cotton-canvas products. Jose is the unofficial translator and is part of the product brainstorming sessions. Abhay is the VIP of the team because he is the 'numbers' man. Using his background in Supply Chain Management and Operations, Abhay handles the scary aspects like Sales Projections, Expenses, Project Management, and P&L statements. He also moonlights as the official mixologist. ALL His skills and support are invaluable to the business. His demand for a weekly project planning list is still pending. Shivangi's little one, Arjun, makes himself useful by modeling the bags. Other duties include fetching fabric, stacking the inventory, and staying away from the scissors!